Verena Stern is a doctoral researcher at the PRIF research group ‘Conflict and Social Movements.’ She was a BMWFW fellow at the Austrian Centers in Edmonton, Canada, and Minneapolis, USA. Her research focuses on protest, social movements, migration, and asylum. Deportations have always been a contested practice. Conservative and right-wing actors have insisted that carrying out deportations is essential for state sovereignty and application of authority. 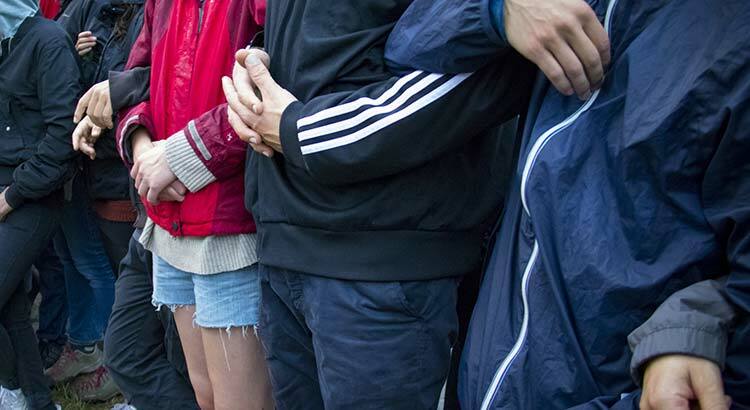 Simultaneously, by taking to the streets civil society, citizens and asylum seekers alike have practiced resistance against deportations in the form of demonstrations, petitions, blockages or hunger strikes. Their anti-deportation protests either claim the right to stay in general or focus exclusively on an acquainted person – like a neighbor or school mate – who is about to be deported. Protests against deportations are sometimes successful by stopping specific deportations; overall, they are also shaping the discourse.